So you’ve read the Vault guide from front to back, tackled our extensive interview sample question database and printed out your cheat sheet, yet you still feel unprepared for your Investment Banking interview once you have done an investment banking course in India. Investment banking interviews are notorious for their unpredictability. One time you probably get asked about the CAPM and the other time, she spends an hour discussing the latest headlines. But a question we know that get’s asked for sure is “Tell us about recent deal that has happened in the M&A space in India”. So here at Imarticus, school of investment banking, we plan to make it easy for you. Every month we will spell out some of the biggest deals that have happened and try and understand their rational, giving you a starting point for your research. 2015 wasn’t the greatest year for Indian M&A. According to a Thomson Reuters M&A report, the value of M&A deals involving Indian companies amounted to $35.1 billion in 2015, a 4.8% fall compared to 2014. While domestic activity was muted, cross-border activity increased 73.1% to $23.2 billion compared to 2014 with Indian companies leading the way. 2016 is hoping to witness a bounceback and here are five interesting M&A deals that led the way in February 2016. IIFL Holdings Ltd’s (formerly India Infoline) wealth management unit IIFL Wealth Management Ltd has acquired the non-banking finance company Chephis Capital Markets Ltd, according to a stock market disclosure. Following the acquisition, Chephis has become a wholly owned subsidiary of IIFL Wealth Management. Question for futher analysis: Where do you think wealth management business is headed in India? 2) Wipro Ltd, India’s No. 3 software services exporter buys US-based HealthPlan Services in its second-biggest acquisition ever and its first acquisition since Abidali Neemuchwala took over as CEO. Question: Is this part of their ‘String of pearls strategy’? What is a ‘string of pearls’ strategy? And here’s Wipro again with its aggressive acquisition strategy this quarter. 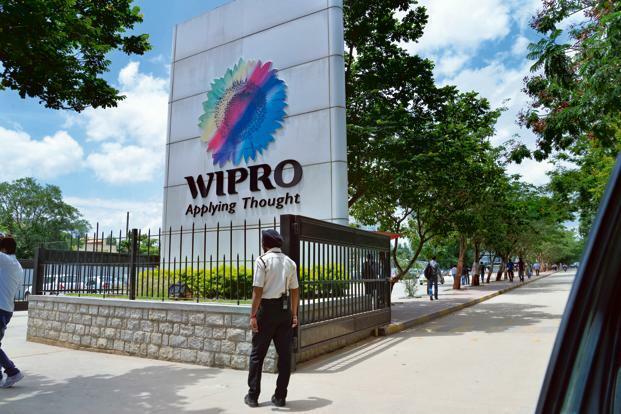 Wipro is acquiring New Jersey-based Viteos Group, who provides customized straight-through-processing and integrates post-trade operations across the alternative investment management industry in the United States, Europe and Asia. Question: Viteos was valued at 5 times their revenue…is it worth it? IL&FS Transportation Networks sells a 49% stake in Rapid MetroRail Gurgaon, however the buyer is unknown! Further Analysis: Since there has been no official rationale, we can only conclude investors like Standard Chartered IL&FS Asia Infrastructure Growth Fund and Bessemer Venture Partners were perhaps ready to exit but since we have no details, it’s all a guess work. 5) And lastly, E-commerce giant Amazon Inc buys a 26% stake in Westland, best known as the publisher of Indian authors including novelists Amish Tripathi and Ashwin Sanghi. Reason: Expand its international reach, and grow its physical and digital book businesses. Further Analysis: If Amazon bought a 26% stake for 9.4 crore, that means Westland was valued at Rs 36 crores. How would you go about finding out the valuation multiples?